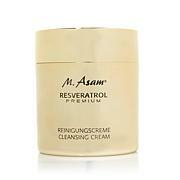 M. Asam Collagen Boost Cleansing Cream 6.76 fl. oz. 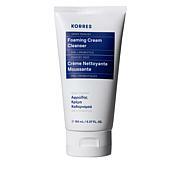 Make a fresh start each morning with this cleansing cream. Scented with the fragrance of the Collagen Boost line, the mild formula leaves your skin feeling clean and refreshed. Get ready for a gorgeous day. Ingredients: Aqua (Water), Hydrogenated Vegetable Oil, Butylene Glycol Dicaprylate/ Dicaprate, Methylpropanediol, Cetearyl Ethylhexanoate, Glyceryl Stearate, Behenyl Alcohol, Cetearyl Alcohol, Dicaprylyl Carbonate, Glyceryl Stearate Citrate, Tocopheryl Acetate, Coco-Glucoside, Glyceryl Undecylenate, Sodium Stearoyl Glutamate, Panthenol, Butyrospermum Parkii (Shea) Butter, Lupinus Albus Seed Extract, Helianthus Annuus (Sunflower) Seed Oil, Glycerin, Lecithin, Soy Isoflavones, Tocopherol, Parfum (Fragrance), Sodium Phytate, Sodium Polyacrylate, Acrylates/C10-30 Alkyl Acrylate Crosspolymer, 1,2-Hexanediol, Caprylyl Glycol, Ethylhexylglycerin, Alcohol, Phenoxyethanol. Such a wonderful skin care cleansing experience. I love how whipped the cleanser feels in my face . So Lucius and leaving my skin so soft and clean.Keep up the great skin care line. I love your products! Love this cream, takes off all makeup. M Asam products really work. Used Prai neck cream for years, now use M Assam collagen neck cream w/better results... have both n auto deliv. 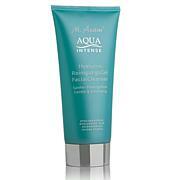 This cleanser stings when I use it.